This article discusses the brother war to the Nigeria-Biafra Civil War — the 1967 Asaba massacre. Federal Soldiers Enroute Biafra In 1967. Refugees At A Catholic Mission, Asaba, 1968. Image: American Friends Service Committee Archives, Philadelphia, USA via Ottanelli and Bird, (2014). Refugee Camp At St. Patrick’s College, Asaba, 1968. Image: American Friends Service Committee Archives, Philadelphia, USA via Bird and Ottanelli, 2014. Sign Post In Biafran Region Of Nigeria. Federal Soldiers With Biafrans In The Background. Image: Bettman via Getty Images. A Federal Soldier In Agwu, Nigeria In 1968. Original Caption: "Agwu, Nigeria: A federal government soldier, wearing camouflaged helmet and with ammunition belt draped about his torso, stands with other soldiers recently." Taken on 17 July 1968. Image: Bettmann via Getty Images. Biafran Soldiers Advancing Towards The Federal Soldiers. A Biafran Soldier With A Dummy Rifle. Original Caption: A Biafran man trains with a dummy rifle during the simulation of a confrontation with the enemy in a field of Biafra. 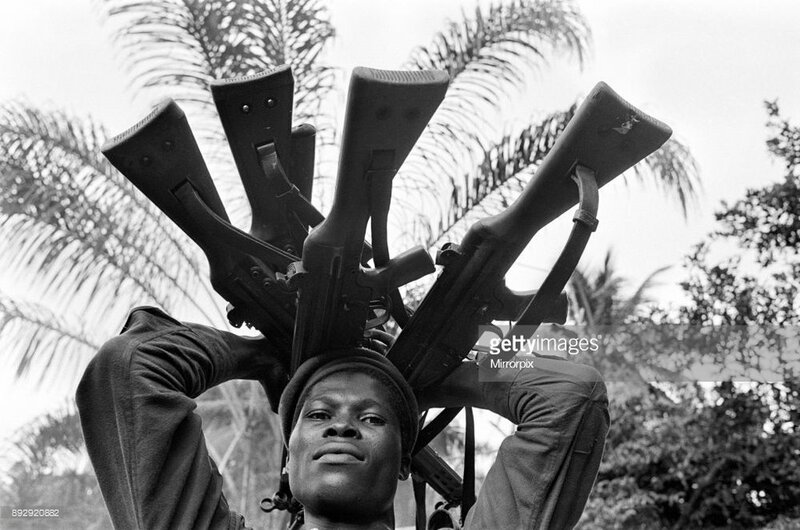 A Biafran Soldier Holding Guns. Image: Ron Burton/Mirrorpix via Getty Images. he Asaba massacre remains one of the under-told horrific events of the 1967 - 1970 Nigerian Civil War. Like other human tragedies that have occurred in Nigeria, the mass killing is clothed with repudiation. Save for the testimonies of the families of survivors and victims, the works of Emma Okocha1, Fraser Ottanelli2 and Elizabeth Bird3 and other existing literature, the Asaba massacre would have paled into historical oblivion. The closest to an acknowledgement that it has received is the Ohaneze petition to the Human Rights Violations Investigating Commission of the Justice panel in 2001. Often termed as a brother’s war, the Asaba massacre began with the military campaign on the midwestern region on August 9, 1967. This offensive led by Colonel Victor Banjo, in a surprise move, crossed the Niger Bridge from Onitsha into Asaba, Delta State; lasting for five weeks and four days until it was halted at Ore - in present day Benin state. Till date, the aim of this military adventure remains unclear though narrowed, speculatively, to two reasons. One: to deflect pressure and attention from the Federal forces siege on Enugu. Secondly, perhaps, to tarnish the image of the Nigerian military supremacy in order to set a negotiating table before them. Whatever the motive, these aforementioned speculations failed to materialise. 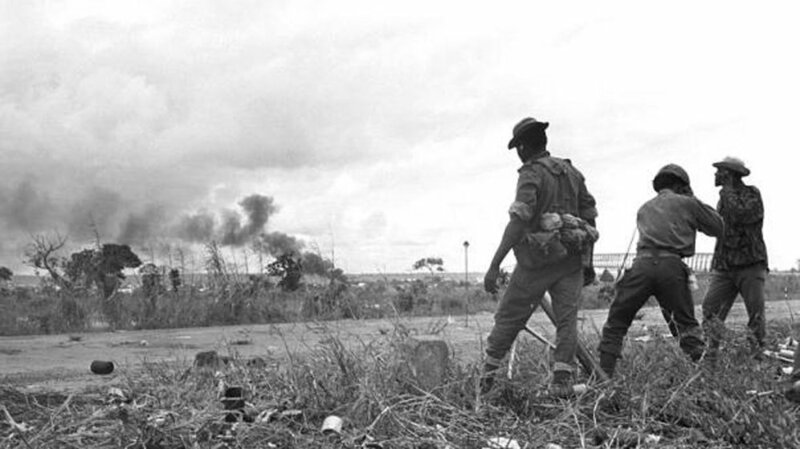 Instead, albeit temporarily, the military seizure of Benin city and the wider mid-western region by the Biafran ‘liberation army’ changed the dynamics of the civil war, on September 20, 1967. 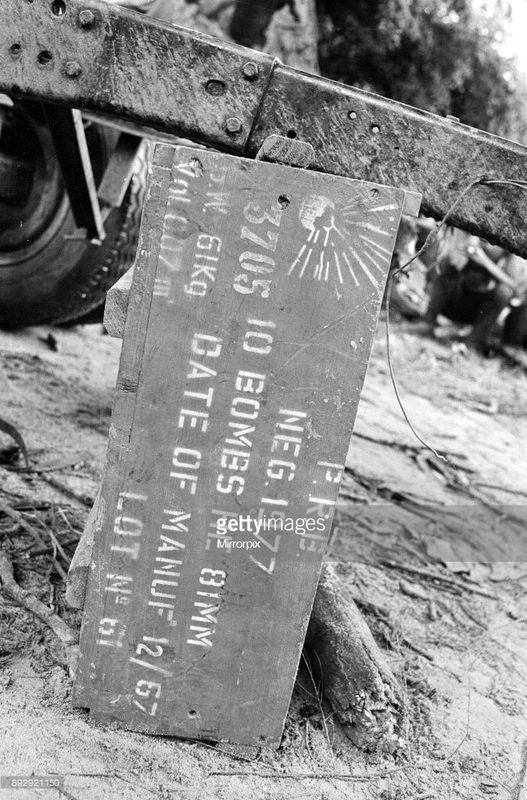 In a swift and strategic movea, the Federal forces under the Second Infantry Division recaptured Benin city; causing a retreat of the Biafran Army up until the River Niger4 in ten days. The earlier recapturing of Benin city by the Federal forces was indeed tactical as it hastened the movement of the Federal army against the retreating Biafran army. As a cover for their retreat, the Biafran Army destroyed parts of the Niger bridge; inadvertently stopping the Federal Forces from advancing towards them. This forced a detour of the Nigerian soldiers into Asaba. On getting there, the Federal soldiers thus turned their angst on the defenseless people of Asaba. Going by Bird and Ottaneli’s account, “the progress of Federal troops toward Asaba could be measured by the approaching sound of heavy guns and the rattling of machine-gun fire.” Within the first “twenty-four hours of “ferocious” shelling, ...Asaba suffered its first victims.” Twenty four hours of torture later turned to days, and from October 2 to 7, 1967, hundreds were slaughtered. Despite wearing akwa ocha - a white cloth that symbolises peace - and pledging allegiance to ‘One Nigeria’, the men were singled out, shot and ‘wasted.’ Women and children, raped and/or forcedb into marriage. Table: An abridged list of the Asaba massacre victims. Source: University of South Florida. Full list compiled by Sir Joe Oni Akaraiwe here. The surprise advance and invasion of the midwest by the Biafran ‘liberation army’ necessitated the hasty formation of the 2nd Division of the Nigerian Army. This 2nd Division would be responsible for the successful retake of Benin city from the Biafran army. At the time, the 2nd Division was commanded by Murtala Mohammed — thus the general assumption that Mohammed, ordered the killings. Though many ascribe it the assumption to his belligerent and recalcitrant posture and role as the most senior Commander of the Division, there remains insufficient and non-subjective evidence to conclude so. As alleged by an officer who served under Murtala, Lieutenant Ishola Williams, ‘‘Murtala ordered the summary execution of Biafran prisoners of war.” The killings, Max Silloun states, were carried out as punishment to Igbo civilians in the Mid-Western region “for their sympathy for the Biafrans.” If likewise swearing by Silloun’s account that Murtala Mohammed, “buoyed by his Mid-West success, had his sight on the strategically important Biafran city of Onitsha”, it might be reasonable to assign the responsibility and conduct of his troops to him. Corroborating this further, the late Chinua Achebe, in There Was A Country, equally revealed that Murtala Mohammed advance quickly, following the “abomination in Asaba” to cross the Niger River Bridge to Onitsha. This - he failed on three occasions - before he took another detour to Onitsha. The testimony of Major General Ibrahim Haruna at the Oputa Panel in 1999 claiming to have ordered the killings, however, provides a counter argument as to who called the shots, and erased men, generations and communities. Be that as it may, Murtala Mohammed’s involvement in the Asaba massacre remains an eternal blot on his evergreen memory. While he may have ruled with an iron fist, had his names embalmed permanently in symbols of our national life; participated and benefitted from the art of coup-plotting (as the times dictated), his involvement in the killings at Asaba severely betrayed his imperfection and lowered his cult-like status by many degrees. If for anything, the killings in Asabac suffered from a deliberate persecution of information and free press. News reports either contained half-truths or hearsay accounts. There were no official records nor any acknowledgment of the killings. Certainly, Gowon’s ‘no victor, no vanquished’ post-war statement inadvertently sealed up atrocities committed by either of the sides. While Gowon’s apology to the people of Asaba in 1999 may have helped to lift the veil, it did not lessen the burden of the weak and heavy laden. On the flip side, Major General Ibrahim Haruna at the Oputa Panel in 1999 offered no remorse. He declared: “as the commanding officer and leader of the troops that massacred 500 men in Asaba, I have no apology for those massacred in Asaba, Owerri and Ameke-Item. I acted as a soldier maintaining the peace and unity of Nigeria. If General Yakubu Gowon apologised, he did it in his own capacity. As for me, I have no apology.’’ This was akin to pouring sand on shallow graves or rubbing salt on an open wound. 50 years on, the Asaba massacre is still treated as a no-go area, and tagged “too controversial.” In October 2017, Cheta Nwanze, social commentator and Researcher, was sent off air in for discussing the massacre on Nigeria Info FM. This shows the extent to which the Nigerian authorities are repulsed by the events that demand transitional and restorative justice, and need to be constantly talked about, so that children unborn may learn; so it may not repeat itself. If Nigeria and the people of Biafra must heal, a commemoration of its historyd must be the balm. 1 Okocha E., (2006), Blood on the Niger: The First Black On Black Genocide. New York: TriAtlantic Books. 2 Bird E. S. and Ottanelli F., (2011), The History and Legacy of the Asaba, Nigeria Massacres. African Studies Review, Volume 54 (3), pp1-26. 4 Bird E. S. and Ottanelli F., (2011). 6 Bird E. S. and Ottanelli F., (2014), The Asaba Massacre And The Nigerian Civil War: Reclaiming Hidden History. Journal Of Genocide Research (Special Double Issue: The Nigeria-Biafra war, 1967–1970: Postcolonial Conflict And The Question Of Genocide), Vol. 16(2-3), pp. 379-399. 7 Silloun M., (2009), Oil, Politics and Violence: Nigeria’s Military Coup Culture (1966-1976). New York: Algora Publishing. a Benin city was a link to the Western Region, and it was on the Federal side. 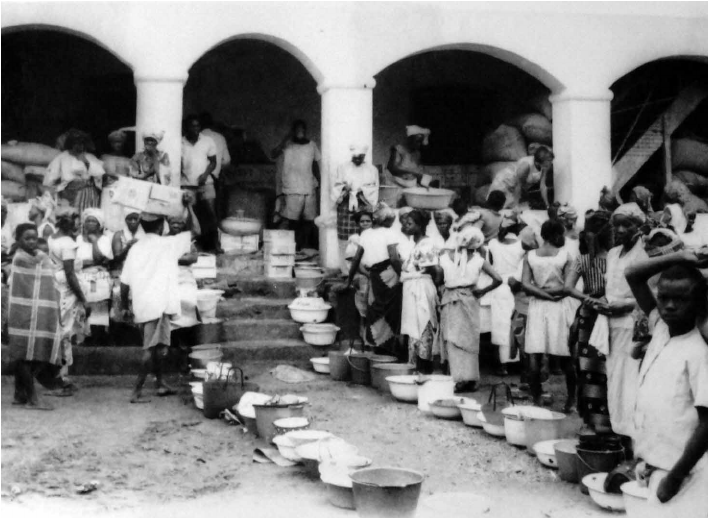 The Biafran Army, on the other hand, had begun an early offensive into Ore, in present day Benin city. The recapture was thus strategic. b A recommended reading on the atrocities committed during the genocide — Postcolonial Conflict And The Question Of Genocide: The Nigeria-Biafra War, edited by Dirk Moses and Lasse Heerten. c A video documentary on the Asaba Massacre. 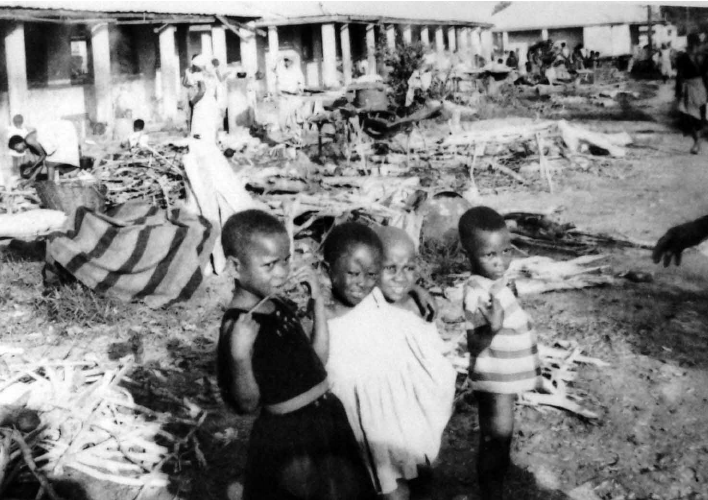 d A memorial website by the University of South Florida dedicated to Asaba massacre victims and survivors. This platform documents the happenings of the Biafra War in relation to the Asaba Massacre; it provides resources, pictures and research material on the subject area.